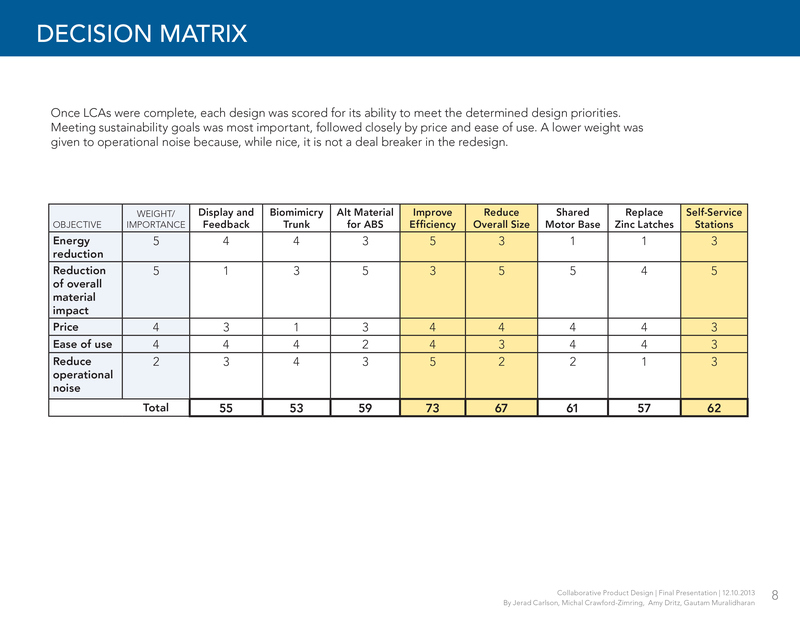 This 10-week project involved working collaboratively with other designers and a real client in order to sustainably redesign an existing product. 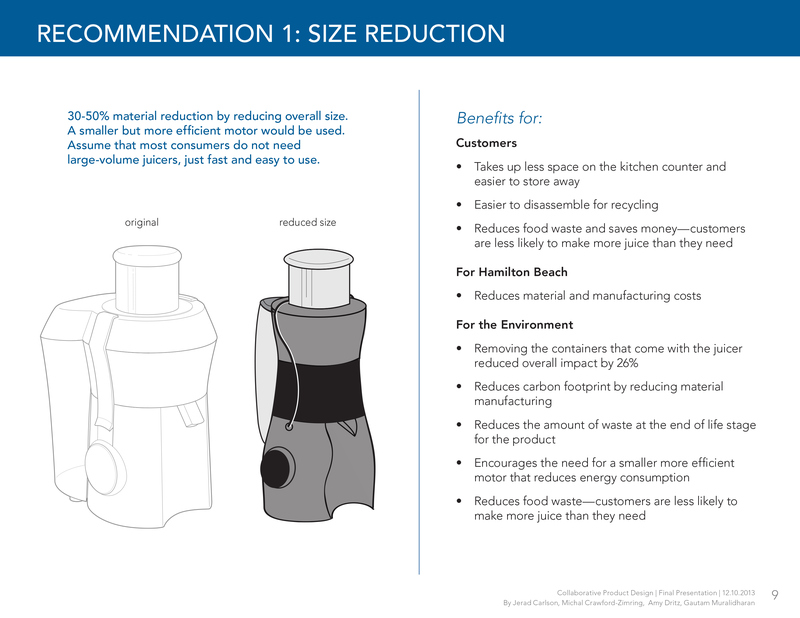 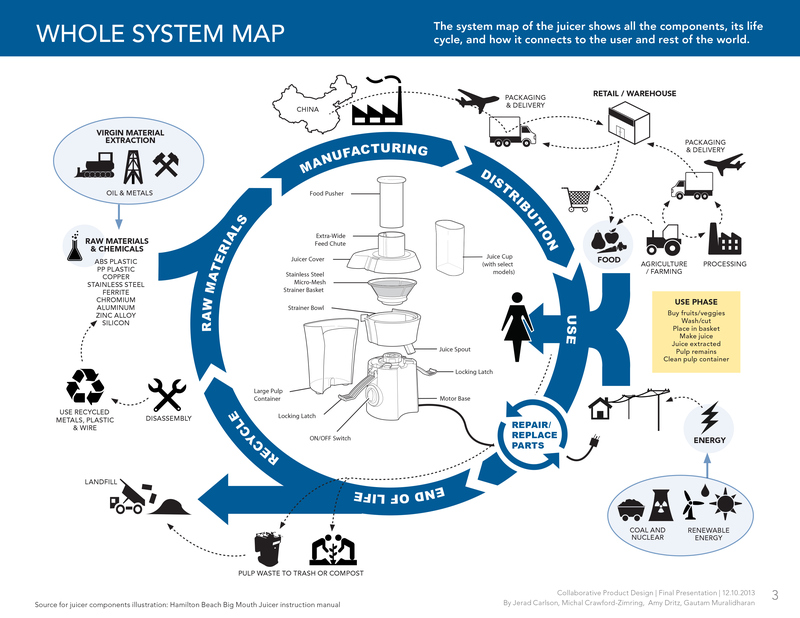 We looked at the entire system of the Hamilton Beach Juicer and ran a variety of Life Cycle Assessments to determine where the largest impacts were happening and to assess our new ideas along the way. 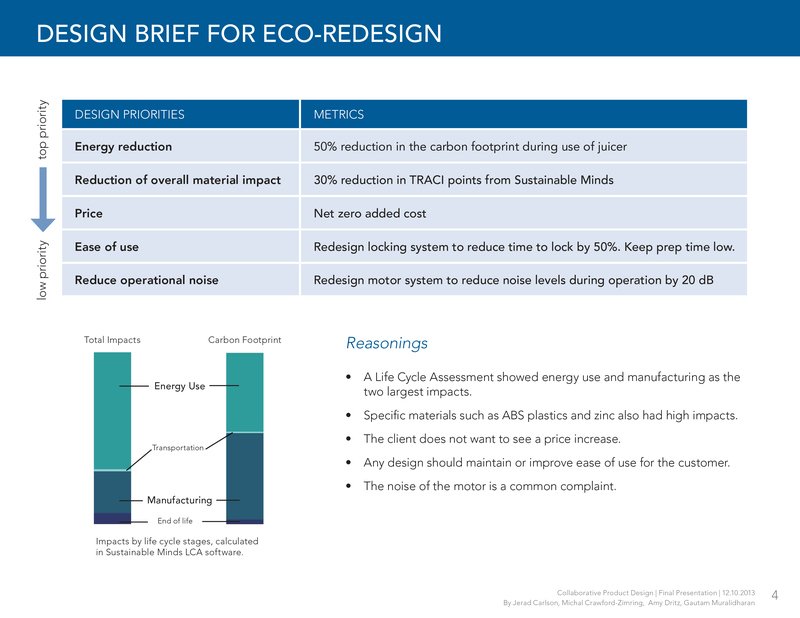 Our tatics included design for energy effectiveness, lightweighting, biomimicry, use of alternative materials, increasing length of life, and reimagining the product as a service. 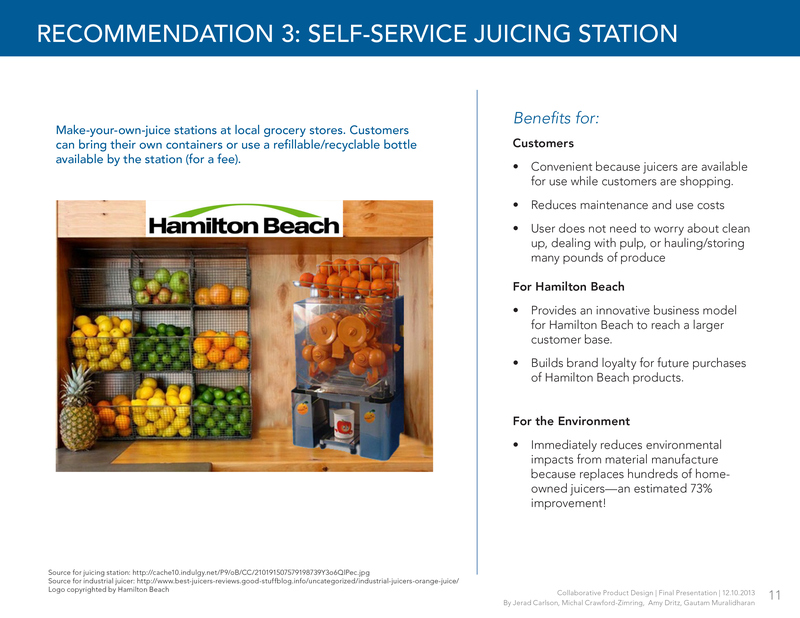 We presented our ideas to our Hamilton Beach client via online video chat and fine tuned our recommendations based on feedback.